This website impressed us by consistently finding the lowest prices, and has enough filters to connect you to your perfect flight. If you’re still in the pre-planning stages of your trip, we loved Kayak’s flexible dates tool which makes it easy to find the best price for your vacation. Hipmunk's layout makes it refreshingly easy to compare options like WiFi, seat upgrades, or layovers across multiple airlines. February 18, 2019 - Since this review was first published in 2016, multiple travel sites have been acquired by giants Expedia and Priceline. We re-tested more than two dozen travel websites to find out if anything has changed. Our new favorite, Booking.com, edges out former top pick Kayak, but the pair are now both under the Booking Holdings Inc. family. As travelers, we all have different needs. For some, it’s the amenities, like extra legroom or a solid Wi-Fi connection, that make or break an in-flight experience. Others prioritize nonstop routes above all else. 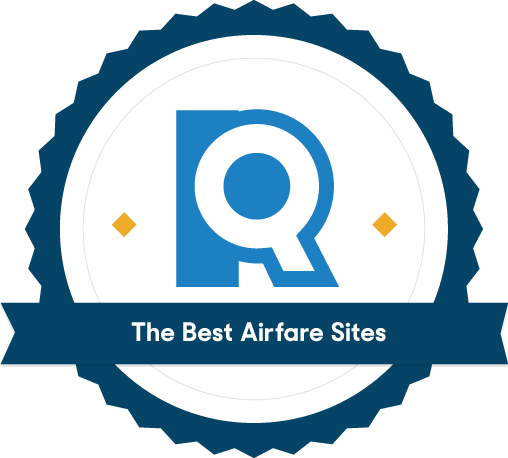 It’s no surprise then that the best airfare sites are the ones that are customizable. They offer intuitive tools to make it easy to find your perfect flight at the best possible price. We started by pulling from our list of The Best Travel Sites—29 sites that are a one-stop shop for finding hotels, plane tickets, and car rentals—then spent weeks tracking fares, fiddling with filters, and assessing each website’s overall usability. Three sites rose above the rest. We started with a list of 29 services, focusing on one-stop websites capable of finding hotels, plane tickets, and car rentals. (For a more in-depth look at how we reached these twenty-nine, check out our parent-page review of The Best Travel Sites.) Staying within budget is a priority for many travelers, so we had two priorities: We wanted the best airfare sites to offer the lowest prices — and we wanted them to have layouts that made it easy to search and compare flights. In 2015, “95% of the online travel marketplace” was owned by just two companies: Expedia and Booking Holdings (best known for Priceline). If you’re left with a sense of deja vu after exploring your many booking options, this is the reason. Cost is often the biggest deciding factor for many flyers, so we began by tracking and comparing roundtrip ticket pricing for a week-long trip from New York City (JFK) to Los Angeles (LAX). Our goal was to find the site that consistently delivered the cheapest option, but we soon realized that many of the fares were virtually identical across sites. The reason? Two companies, Expedia and Booking Holdings (best known for Priceline), own nearly all of the travel websites in existence. 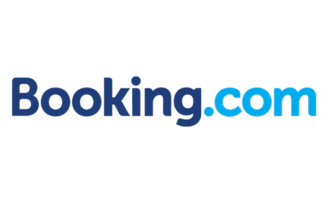 Our top pick, Booking.com, set itself apart by consistently charging almost $20 less than the other sites. No matter how far you cast your net, sometimes the price remains static. Here’s where the flexible dates feature comes in. Being able to slightly adjust dates for a proposed trip, like leaving a day earlier or coming back a day later, can often lead to big savings. Kayak is king with an unparalleled, multi-feature tool that allows you to compare flight costs on multiple days, weeks, or even months across multiple airlines. It’s no good purchasing a cheap ticket if the airline’s hidden baggage restrictions double the final cost or you inadvertently book a flight with a layover that’s longer than the time you plan to spend at your actual destination. Thankfully, Hipmunk has made it easier to decipher these nuances at a glance. Small icons indicate some of the most common features available, like Wi-Fi, food service, and availability of seat upgrades. Flight plus layover length is also clearly marked. We wanted websites whose pages loaded quickly, gave us flights related to our search, and didn’t leave us wondering whether we’d accidentally clicked on a spam listing. This turned out to be a high bar: Most pages were able to find results, but a few websites flooded us with pop-up ads or implored us to call them for “better rates!” We also frowned upon sites that sprinkled unsolicited alternative date options in amongst our requested results: Every time we saw a good price, we had to double-check that the dates were right. The best at finding low prices, combined with an easy-to-navigate website. What's not to love? After tracking prices for the same flight across two weeks, only one website truly impressed us: Booking.com. It won the prize for finding our flight at its ultimate lowest cost and was always at the middle or lower end for ticket prices among our tested picks. Frequently, Booking.com charged between $9 and $18 less than the average ticket price for that day. Booking.com makes it easy to find, filter, and compare flights, so that you can pick the one that best fits your needs. Simply search for your flight by selecting trip type (round trip, one way, or multi-city), your departure and arrival cities, dates, number of travelers, and what class you'd like (economy, business, etc.). We were also impressed by how many options and customizations Booking.com offers. You can filter your search by airline, number of stops, cabin type, even your preferred airport for a layover. Booking.com decodes the fine print so you don’t have to. The site notes upfront if the cheapest ticket falls into the “basic economy” class (i.e., one carry-on bag and no seat choice) and displays the fare for the “Main Cabin” or next highest class below, making it easy to calculate whether the extra money is worth the added comfort. Hover over any fare and it will also tell you the length of a layover and even the dimensions for your permitted carry-on so there are no surprises at the gate. Dig a little deeper and Booking.com provides an analysis of amenities that rivals even Hipmunk. Clicking around let us see what type of in-flight entertainment was offered (an in-seat video player vs. mobile streaming) and even exact seat specifications, including legroom and how far back seats recline. 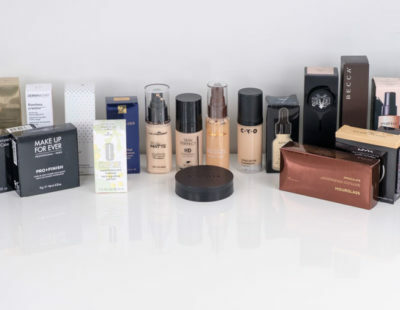 If you’ve ever flown internationally, you know another inch or two can make all the difference on those long-haul flights. When we last reviewed Booking.com, they didn’t have a flexible dates feature—a sore spot for many bargain hunters—but we’re happy to report that they’ve since added a “plus or minus three days” checkbox. Still, it’s by no means as robust as Kayak’s tool and it’s clear that Booking.com is still playing catch-up when it comes to flexible fare analysis. If you don't have a set travel date, Kayak offers the best tools for comparing weekly and monthly pricing. 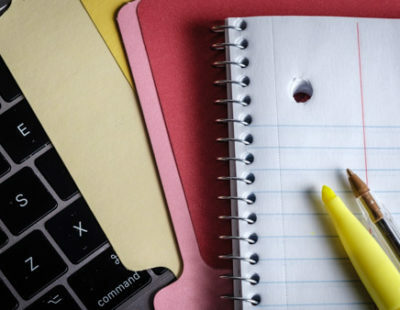 Even though Kayak and Booking.com are both part of Booking Holdings Inc., we feel Kayak is worth mentioning on its own, thanks to its powerhouse of a planning tool. When searching flexible dates on other websites, you’re lucky to see prices for your dates +/- 3 days. Kayak, on the other hand, lets you search as far as 10 months out with its interactive price graph (none of the other sites we considered even came close to this timeline) and offers a variety of search options: flexible dates, flexible month, and flexible weekend. Flexible dates let you specify when you’d ideally like to be traveling, and then compare what it would cost (or what flights are available) on the days leading up to and following each date. Kayak organizes the results into a simple chart and highlights in green the cheapest days to travel. If your dates are flexible, but not three days flexible, Kayak also lets you adjust your search to only be +/- 1 day or +/- 2 days. Flexible month lets you mark the length of your trip, whether a three-day weekend or a monthlong expedition, and then asks for the earliest date you’d be willing to leave. You’ll be given a 30-day chart of flights and prices, letting you pick and choose from several weeks. Flexible weekend works similarly, except it only calls out weekend dates (you can specify whether your weekend starts Thursday evening or Friday morning). 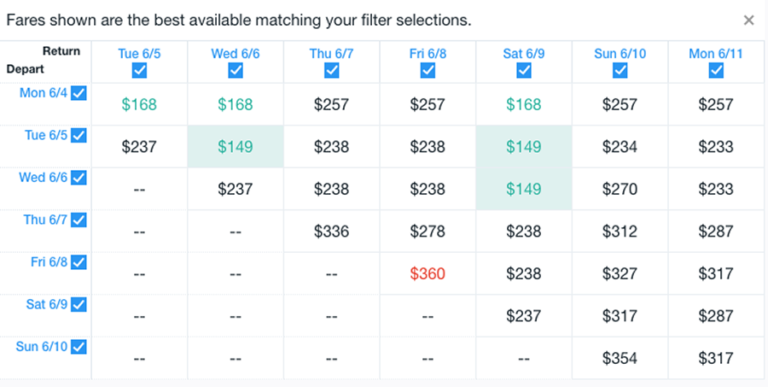 Kayak’s three-day flexible dates tool lets you compare 49 different travel plans to find out which dates and prices are the best fit. In addition to an A+ flexible fares tool, Kayak has a team of “data scientists” that analyze past and current prices in order to predict whether the average fare price will increase or decrease over the next seven days. With each search, the site tells you whether you should buy now or wait to purchase tickets. It can even provide a predicted dollar amount, so you’ll know if will be a few bucks difference or something more substantial. Lastly, you can easily sign up for price alert emails and Kayak will notify you whenever fares have skyrocketed or (even better) dropped. This allows you to go about your day without refreshing the page every 10 minutes. Despite its many tools, Kayak didn’t earn outstanding marks for finding bargain-priced tickets, like Booking.com, but neither were its prices exorbitant. In the case of our hypothetical NYC-LAX vacation, choosing Kayak only meant spending between $7 and $15 more than Booking.com. We didn’t take off major points for this because it’s a matter of personal preference, but it’s worth noting that Kayak lists “hacker fares” — a combination of one-way bookings from different airlines — as part of the available options. The advantage of hacker fares are that you may be able to get a cheaper flight overall (and access to more flight times), but the drawback is that you have to visit multiple sites to book each leg and it’s not ideal if you prefer certain airlines over others (Spirit or other carriers with hidden fees are often lumped into hacker fares, but don’t include the inevitable upcharges). To filter these fares out, simply uncheck the “multiple airlines” option. The best way to compare extras across multiple airlines, whether WiFi or layover length. We won’t lie: We were first drawn in by the flying chipmunk mascot of this lesser-known travel site. But it was the stellar visual presentation that kept us interested. After you enter your basic search info, Hipmunk gives you a chart displaying flights that meet your needs. At a glance, you’ll be able to see how long the flight is, how long any layovers are, and certain amenities. Five small icons to the right of each flight let you know if you’ll have Wi-Fi, power outlets, food available, in-flight entertainment, and advanced (read: more comfy) seat options. This makes it easy to quickly sort out which flights will fly by, and which will drag on after your laptop battery has died. Hipmunk’s marketing is colored with humor. Their slogan is “Don’t let travel planning drive you nuts,” and they let you sort flights by “Agony,” which gauges how painful a flight will be based on price, takeoff and landing times, and the number and length of layovers included in the flight plan. Jokes aside, we also liked how we could choose to either hunt for or sort out the “no frills” flights, which can save you money if you only plan to fly with a personal item (like a purse or briefcase) or don’t care about getting a specific seat assignment. Like Kayak, Hipmunk scored solidly average in terms of price. It never found the bargain deal that Booking.com managed to turn up, but it was never the most expensive (or second-most expensive, or even sixth). It hovered close to Kayak and Booking.com for the most part. 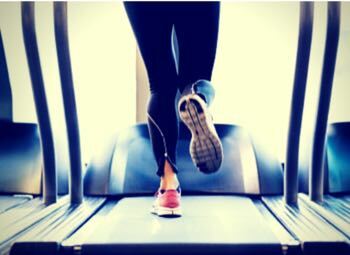 But if you’re amenity-minded, paying a few extra dollars is likely worth it. Some sites charge anywhere from $20 to $45 dollars on top of the ticket price just for the privilege of purchasing through their particular website. And the parent company seemingly has little impact on this practice: Priceline’s Kayak had average pricing, while its sister company Momondo was an expensive outlier, consistently charging between $25 and $50 more for the same ticket. By now, you may have learned the hard way that baggage fees add up. A cheap fare covering nothing but a personal item is sometimes a worse deal than a ticket that costs an extra $20 but comes with a generous luggage allowance. Be sure to check before you book. What’s the difference between a booking engine and a price aggregator? A booking engine (like Expedia) searches for results and lets you book your travel arrangements directly on their site. Fare aggregators (like Kayak) display available flights, but typically will redirect you either to the airline or agency’s home page, or a booking engine site to place your booking. It can be hard to directly compare the prices of results on a fare aggregator—there might be additional fees once you get to the booking website itself—so we gave slight preference to booking engines, which tend to be more upfront about price. Are all Expedia and Priceline travel sites the same? Like we mentioned earlier, Expedia and Priceline have a monopoly on travel sites. The question is, do you have to check all of their sister sites to get the best price? For Expedia, the answer is no. Expedia sites (including Orbitz, Travelocity, and CheapTickets) all produced the same search results, and only vary slightly in presentation and sorting abilities. Priceline travel sites (including Booking.com, Kayak, and Momondo) are a different story. In addition to different presentation and search features, Priceline’s travel sites gave us different prices. When we tracked airfares, Booking.com consistently gave us some of the lowest prices for a roundtrip ticket while Priceline offered some of the highest. Unlike Expedia travel sites, you’ll need to check each of Priceline’s to make sure you’re getting the best deal. Why don’t I see any fares from Southwest Airlines?